I still remember vividly the day my friend, Meg, told me she was quitting her job at the company we both worked for and she was moving to “California”. My response “Northern?”. She said no and my excitement dwindled. None the less I still promised I would visit her and for some reason when I tell someone something I feel the need to do it. I was on the cusp of my 2nd trip to visit Meg since she had moved away. I visited her in February of 2012 and now again in January 2013. I had planned us a packed filled trip that I hoped to be fun-filled as well. And how could it not be with a trip to the Queen Mary, Disneyland, a Lady Gaga concert, Warner Brothers studio tour and a taping of Conan O’Brien all in the span of 4 days. I arrived mid-day on a Friday and our first stop was In-N-Out Burger. A must for any trip to California. After we had stuffed our faces with burgers and animal style fries (look it if you don’t know what that is – it’s amazing) I realized I was sweating. It was January and 80 degrees ferinheight outside (26C). When I had left Idaho that morning it was a sharp 18F degrees(-7C). My truck had even broke loose and fish-tailed on the highway on a sheet of ice that morning on my way to the airport. Pretty exciting stuff! It was for sure a huge swing in temperatures but one thing was clear to me, I enjoyed seasons. 80 degrees in winter just doesn’t seem right. Sure snow is a pain but I like getting all bundled up in my jackets and snow boots. 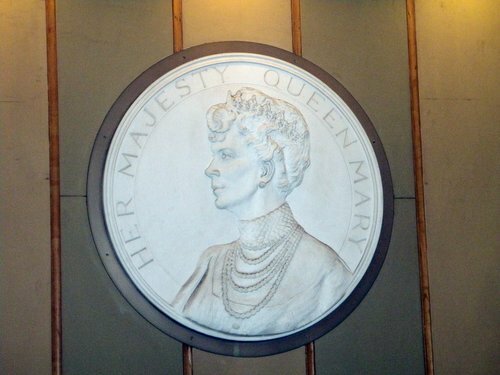 We hopped in Meg’s air conditioned car off to our next stop The Queen Mary. Princess Diana’s dresses were on display and I wanted to tour the ocean liner. Diana’s dress collection was small and somewhat disappointing but still to admire her style was worth the trip. 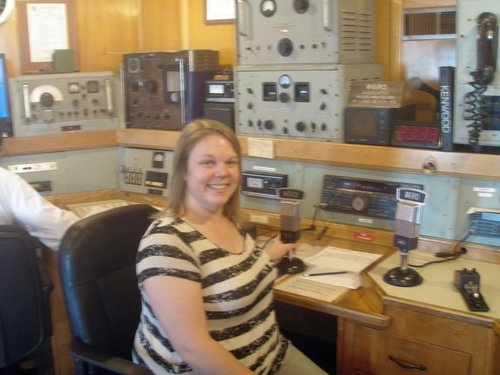 As we toured the ship we were stopped by an older gentleman who let us try our hand at the ham radio… or maybe we just got our pictures taken with the radio equipment. I admired the beautiful ship that was a work of art floating in a grimy shipyard in Long Beach. 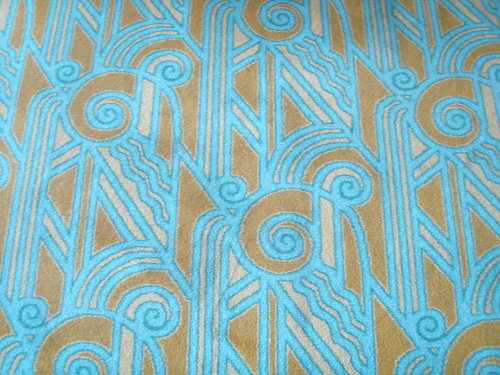 It’s nice to see even in the mid 1930’s when this ship was built that crazy carpeting was also used in cruise ships just like today! 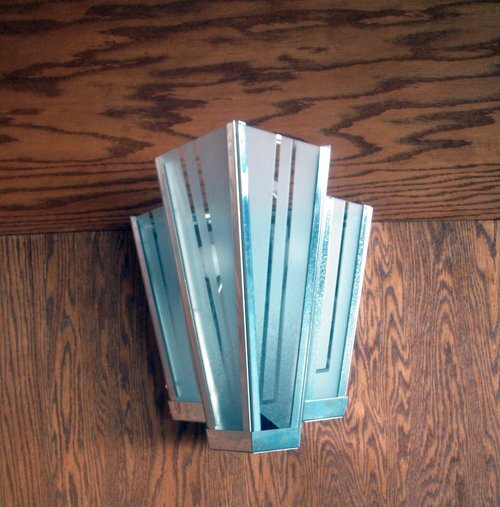 We later stopped in the Observation Bar and ordered a few beverages while we took in the stunning art deco decor that adorn the ship. Night had crept up on us and we had a big day ahead of us the next day, Disneyland on a weekend, so we called it a night and headed to Meg’s apartment. 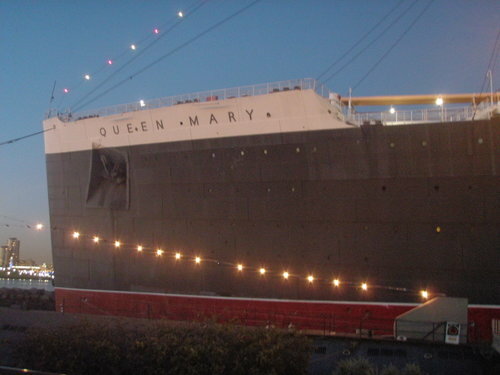 If you would like to visit the Queen Mary they can be found at 1126 Queens Highway Long Beach CA, 90802. 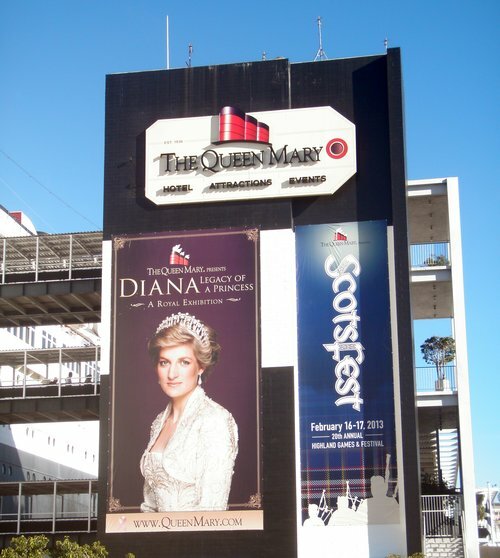 You can buy tickets for the tour of the ship or Diana’s exhibit online or at the boat. Note that Diana’s exhibit is not permanent. 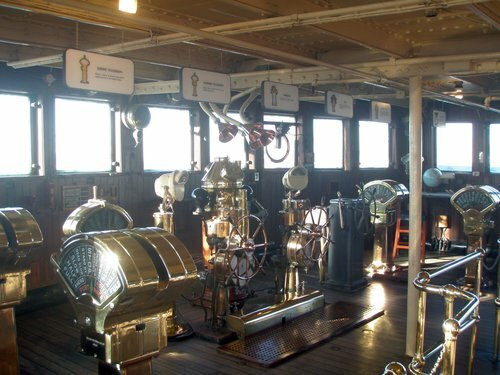 A fun way to check out the boat in my opinion, although I have never done this, is that you can spend the night in a stateroom on the classic ocean liner. Room bookings as well as all other info about the ship can be found on their website. 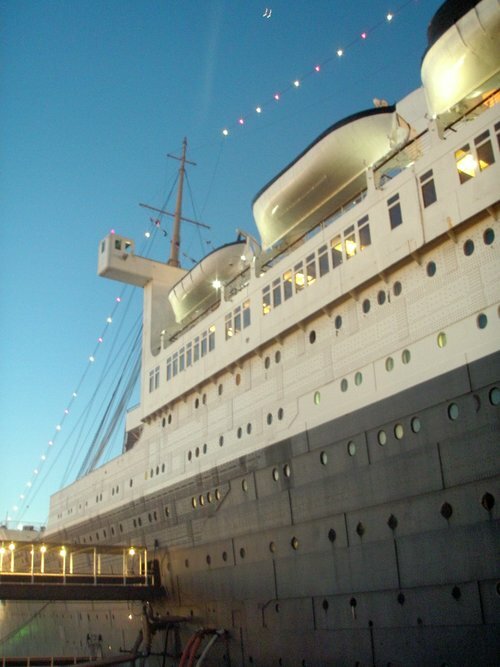 Tagged Boat Tours, Ocean Liners, The Queen Mary, Things to do Long Beach California. Bookmark the permalink. This is something I’ve never even thought about. Thanks for bringing it to my attention in this well-done piece!